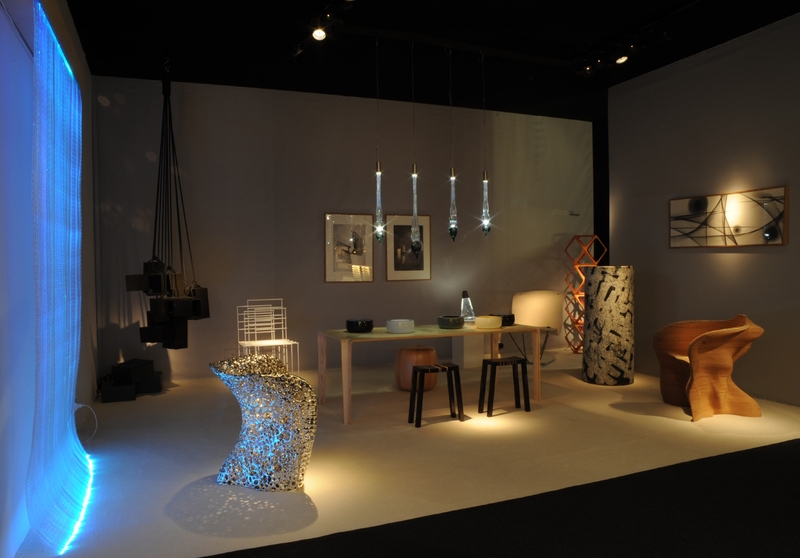 In October 2012, Galerie Maria Wettergren won the PAD Prize for the best stand from the jury composed among others by Jean-Michel Wilmotte, Zaha Hadid and Tom Dixon. 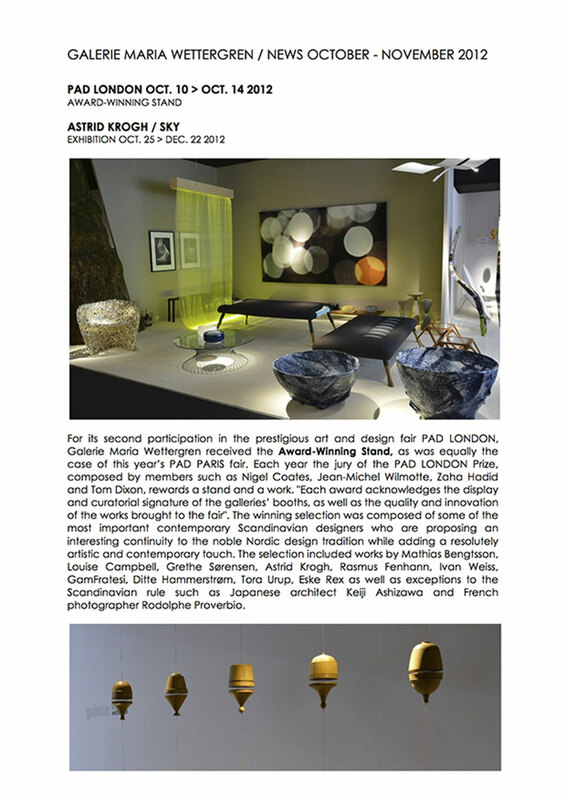 In March 2012, Galerie Maria Wettergren won the PAD Prize for the best stand from the jury composed among others by Jean-Michel Wilmotte, Jacques Grange and India Mahdavi. Maria Wettergren was born in Lemvig, Denmark, in 1971. She has a Bachelor degree in Art History from the University of Copenhagen (1995). While subsequently preparing a Master degree, Maria Wettergren lived in Paris where she worked simultaneously for several art galleries such as Flux by Cyril Putman, while he was representing Fabrice Hyber and Huang Yong Ping at the Venice Biennale (1997 – 1999). 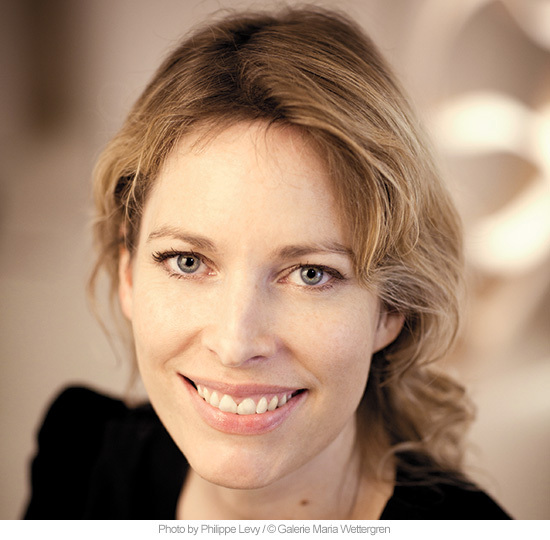 In 2002, she decided to interrupt her studies to become the director of the Parisian branch of the Dansk Moebelkunst Gallery. 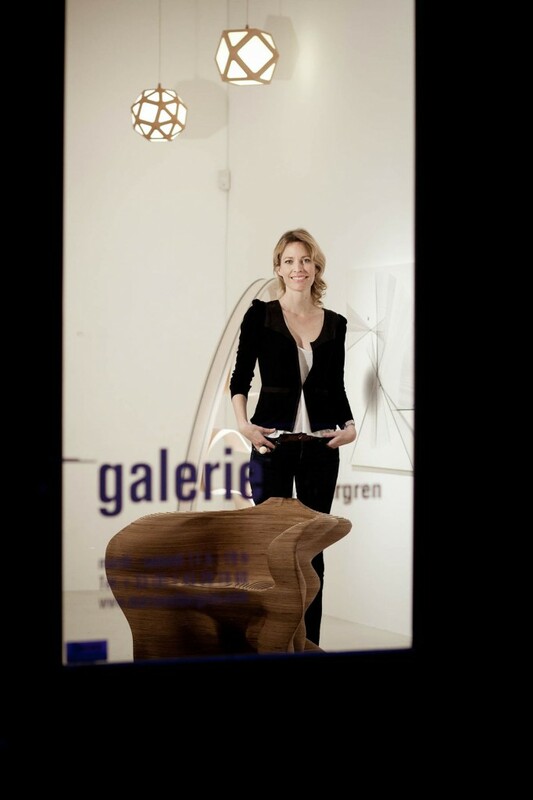 She ran DMK until 2010, when she decided to open a gallery specialized in contemporary Scandinavian art design. 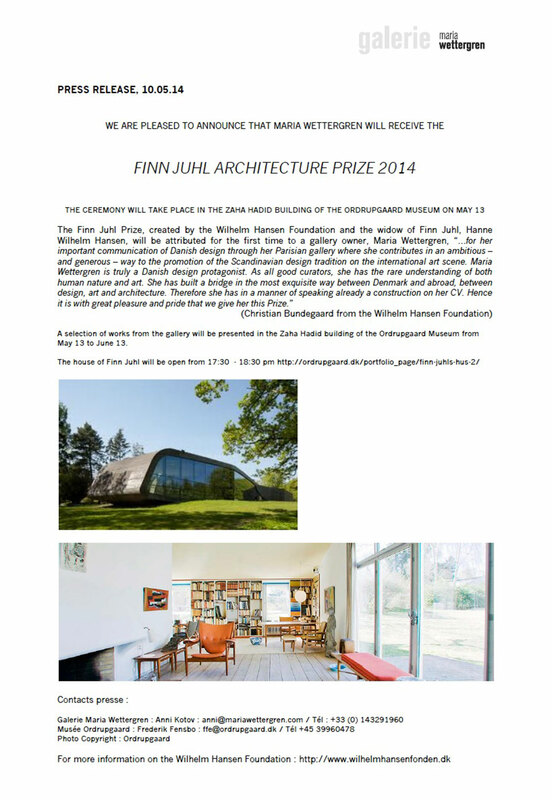 Maria Wettergren received the Finn Juhl Architecture Prize in 2014. 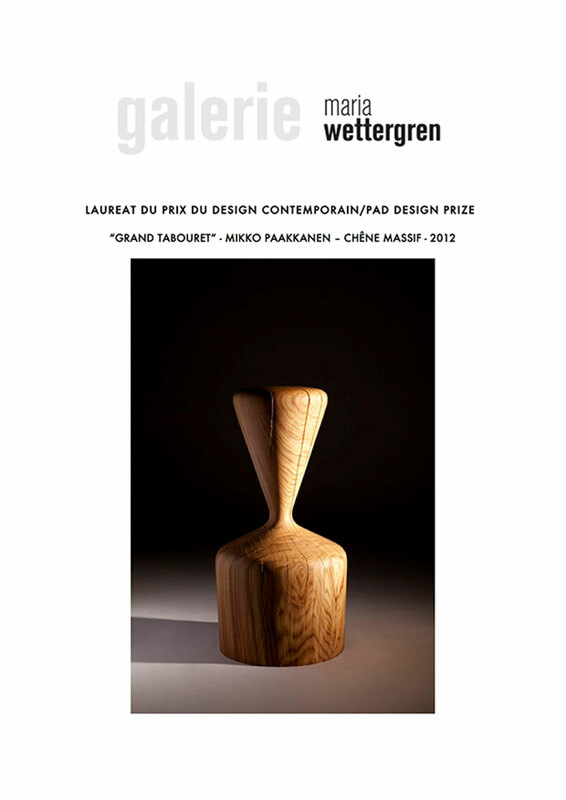 Maria Wettergren is assigned as an expert in contemporary design at the Art Genève Fair, and she is a board member of the gallery association Art Saint Germain-des-Près. 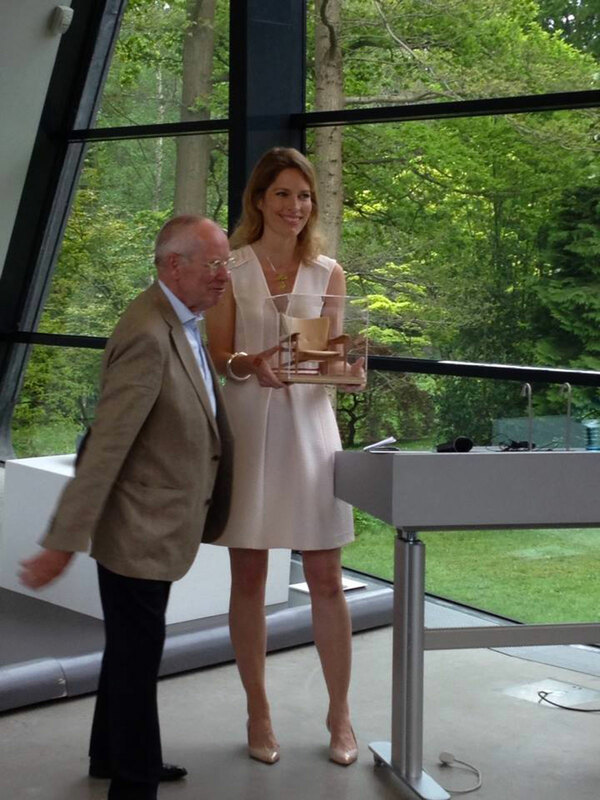 She was a member of the Audi Award 2014 Jury together with Daniel Buren, Jean de Loisy and Emmanuel Perrotin. 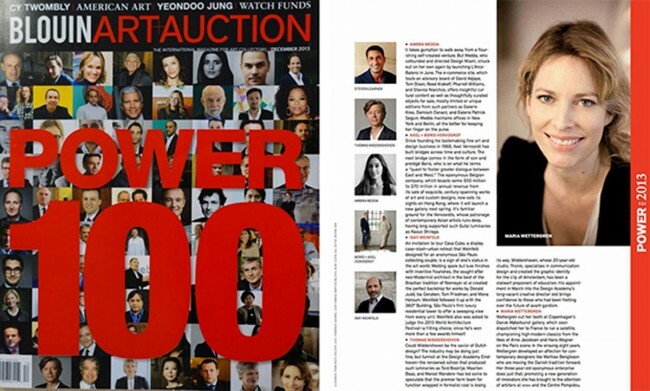 Maria Wettergren was included in the American Magazine Art + Auction’s Power 100 of the 100 most important personalities of the art world (December 2013). Maria Wettergren opened her gallery in 2010 in Paris Saint Germain and specializes in contemporary Scandinavian design and art. The gallery equally represents unique and limited edition works by Japanese designers, as well as kinetic photographs by modernist artists. 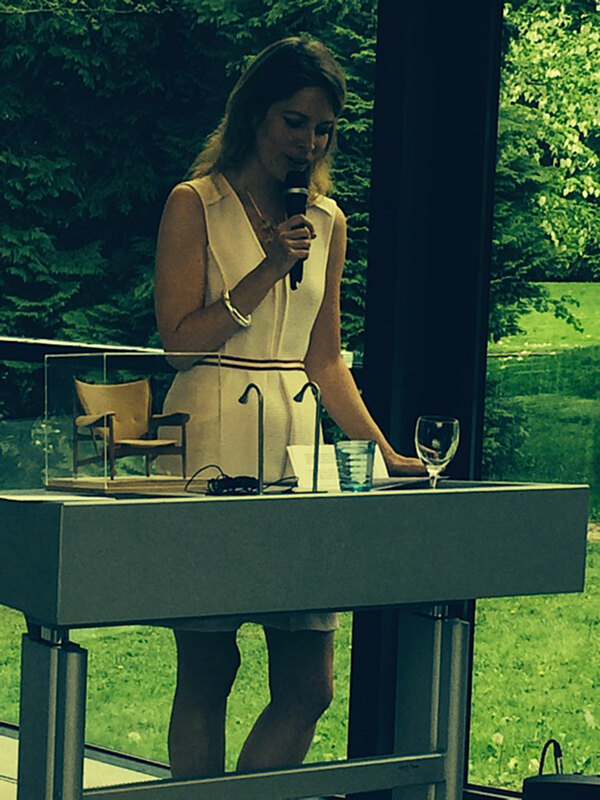 In 2013, Maria Wettergren was included in the magazine Art + Auction’s annual Power 100 issue of the 100 most important people from the art world, and in 2014 she received the Finn Juhl Architecture Prize. 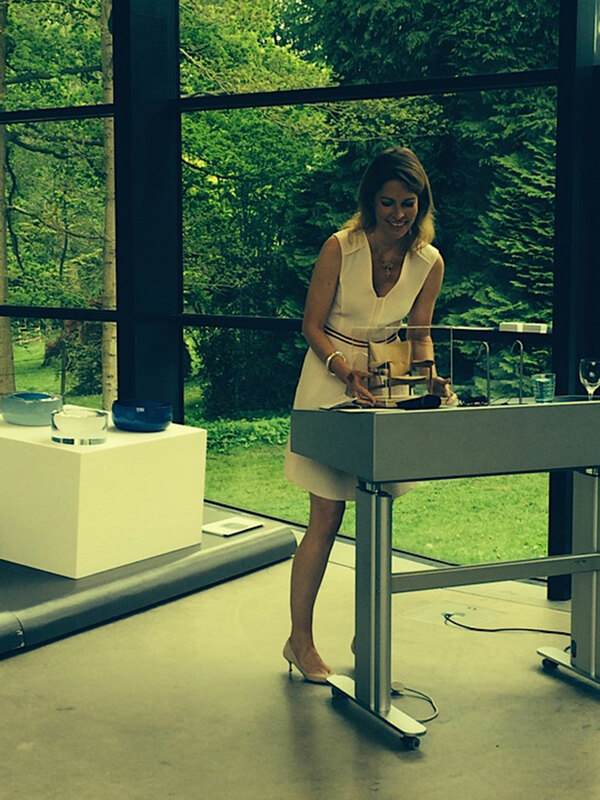 Maria Wettergren believes in the interdisciplinary dialogue between art, design, crafts and architecture. Today, radical exchanges are taking place with minds and materials pooling into multi-faceted collaborations where high-technological innovations meet craftsmanship and art. Maria Wettergren represents contemporary Scandinavian designers in the center of this phenomenon, whose poetic and pioneering works are part of important private and/or public museum collections such as the MoMA and the Cooper Hewitt in New York and the Centre Pompidou in Paris. 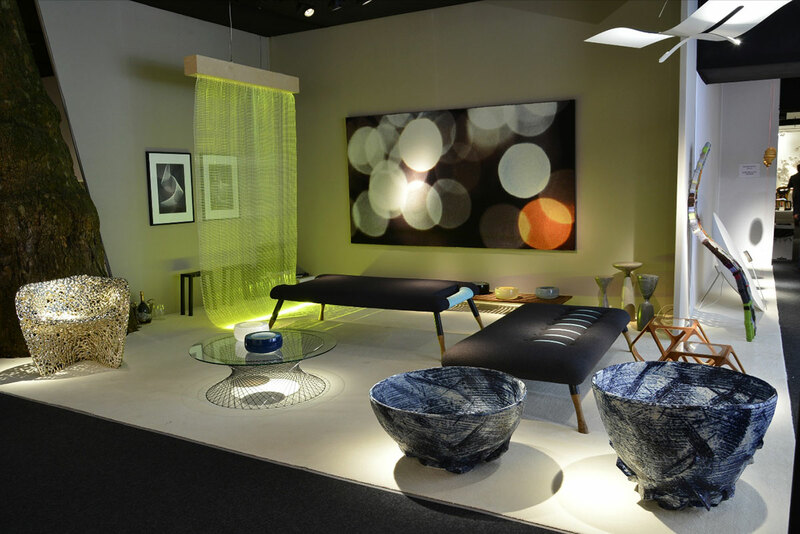 The gallery is permanently participating in the international art and design fairs such as the Design Miami/Basel, PAD Paris/London, Art Salon/New York and FIAC (hors les murs). Galerie Maria Wettergren represents the works of Mathias Bengtsson, Keiji Ashizawa, Louise Campbell, Erling Christoffersen, Line Depping, Helmut Eigenmann, Rasmus Fenhann, GamFratesi, Gjertrud Hals, Ditte Hammerstroem, Niels Hvass, Jakob Joergensen, Komplot Design, Harri Koskinen, Astrid Krogh, Akiko Kuwahata, Katriina Nuutinen, Mikko Paakkanen, Rodolphe Proverbio, Eske Rex, Timo Salli, Hans Sandgren Jakobsen, Grethe Soerensen, Ilkka Suppanen, Tora Urup, Etienne Bertrand Weill and Ivan Weiss.